Formed by directors Eileen Haring Woods and Michael Woods in 1996 our work has included originating and producing new arts and entertainment initiatives, cultural and business strategies for public and private spaces, new models of public engagement to inform policy and development, public space design and use, commercial design and promotions. 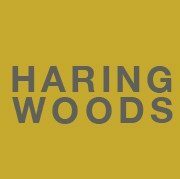 Haring Woods has been commissioned by landmark venues, local authorities, property developers, Arts Council England, international brands, media groups and the United Nations Environment Programme. Previously based in central London and now in Suffolk, near the east coast of England, our studio associates around the world inform and advise our interdisciplinary creative practice. In the past five years, Eileen and Michael have concentrated on their individual and shared practice. Eileen has worked primarily on the realisation of the Global Parliament of Mayors, with precious spare time devoted to her own practice as a conceptual artist and collaborations with associates. Inspired by the work of the artist Joseph Beuys in the 1970s, she supports the concept that everything is art, that every aspect of life could be approached creatively and, as a result, everyone has the potential to be an artist. Her work explores the social and geopolitical aspects of contemporary society. After many years managing our creative companies, Michael is concentrating his work in the exploration of the role of the trickster through graphic illustration, ceramics and sculpture.